Grace Manor Assisted Living provides comprehensive senior care options in Nashville, Tennessee. Care options include: assisted living and memory care. All of our senior living options include 24-hour care, medication assistance, pharmacy services, and three delicious meals daily. Our highly trained, caring staff treats each resident as if they were family, and is highly respectful of personal privacy. Assisted living at Grace Manor Assisted Living is designed for local seniors who wish to maintain their independent lifestyle, but may need some additional assistance to do so. Assisted living residents enjoy a wide range of fun activities and events on our daily schedule. For caregivers that need their days free for work, school, or other reasons, we offer a senior day care program that provides a fun-filled, socially engaging environment. Caregivers can arrange to drop off their loved one each morning and pick them up again at the end of the day. 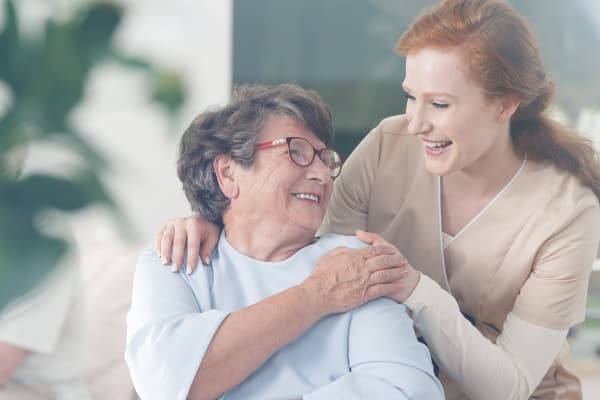 This really is a win-win situation, as the resident gets to enjoy socializing at our vibrant community, and then comes home each night to spend time with their family.